The newest version of the Impossible Burger–the plant-based meat that uses food science to replicate the taste and feel of beef–has a carbon footprint 89% smaller than a burger made from a cow. A new analysis found that the burger also uses 87% less water than beef, uses 96% less land, and cuts water contamination by 92%. Those numbers are improvements on the last iteration of the burger, in part because the company has become more efficient as it grows and because it switched from wheat to soy as a key ingredient, because soy also yields more acres on a farm. But the majority of the impact simply comes from the fact that the product isn’t made from an animal. “The best, fastest, easiest way to make meat more sustainable is to avoid the cow,” says Rebekah Moses, senior manager of impact strategy at Impossible Foods. 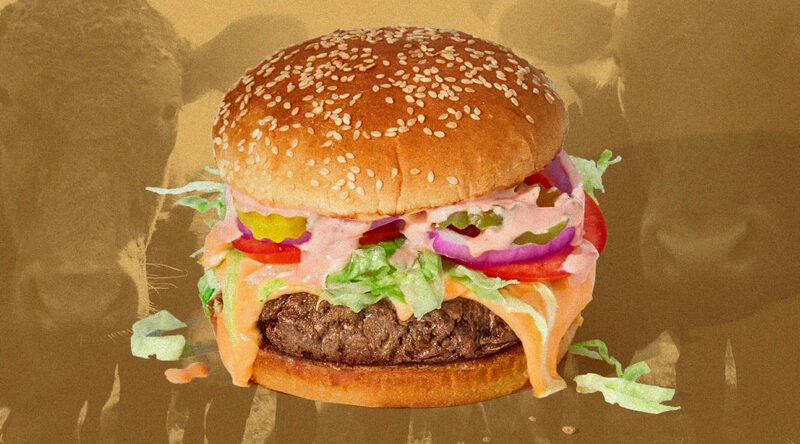 “By making the Impossible Burger directly from plants, we have the luxury of bypassing the most inefficient stage in the entire food system.” Cows are known for their greenhouse gas-producing burps–the largest source of methane emissions in agriculture–but also require cattle feed that takes large amounts of land, water, fertilizer to grow, and often leads to deforestation. The cow’s manure is also another major of source of pollution.